Creating hope through helping others. Where caring for others is not just our mission, it's our passion! 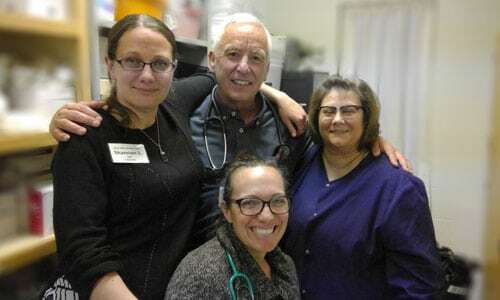 Open Bible Medical Clinic and Pharmacy is Christian based and non-profit operated by volunteer Medical providers, Pharmacists, and administrative professionals. We exist to show & share the love of Jesus by providing free access to medical care and life saving medications to the uninsured, low income adults in the Pikes Peak Region. See if we offer your medications. Want to help? Volunteer at OBMCP. Our friendly staff are here for you. Our Community Pharmacy is a ministry of local evangelical Christians acting as the hands and feet of Christ. 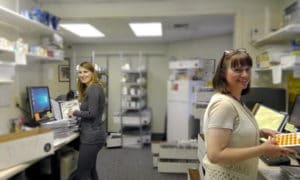 This is a licensed pharmacy staffed by volunteer medical professionals and administrative help that provides access to medication and patient education for those with nowhere else to go. OBMCP has over 55 volunteer pharmacists, pharmacy techs, and administrative volunteers. Our Mission is to compassionately advance the health and well being of the low-income uninsured & underinsured population by operating a clinic and licensed pharmacy that provides lifesaving medications, healthcare advocacy and related educational and preventative health practices services regionally. Our Vision is to compassionately improve access to health care for people in our community through education and life saving medications. We help to prevent the need for people to choose between food and medicine. That is the stark choice that faces more and more members of our own community. 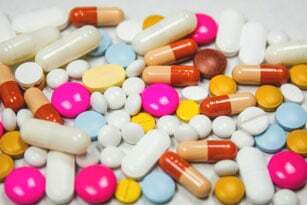 As costs of prescription drugs continue to rise and the numbers of uninsured continue to rise, providing a source for life-saving prescription drugs becomes critical. In Colorado's El Paso & Teller Counties, OBMC&P also serves as a Community Pharmacy dispensing free prescription medication to our neighbors who are uninsured. Residents of the county can qualify for our services if they are at or below 200% of the Federal Poverty Level. Open clinic services on the weekend, provide onsite medicaid enrollment, supply other safety net clinics with medications for their patients and reduce duplication of pharmacy assistance within existing community organizations stretching their budget dollars and freeing up those agencies to focus on what they do best. We continually need the help of additional volunteers to reach our goals. We provide help to the ones who need it most. OBMC&P is operated by an all volunteer staff of Physicians, P.A.s, Nurse Practitioners, Registered Nurses, Medical Technicians, Behavior Health Clinicians, Pharmacists, and Pharmacy Techs . We also have a large volunteer non-medical staff that work in Administration, Reception, Patient Eligibility, Security, and Prayer. The clinic and pharmacy have now merged into the same building as one ministry. This includes four exam rooms, a patient waiting room, a patient consultation room, physician’s office, an administrative office, and the pharmacy which has also expanded its area of service for creating more space to manage the donated medications and their distribution to other organizations within the state of Colorado. We have established a great model to serve our community. We operate with only 15 volunteers per night. Our volunteer model only requires our volunteers to work one night per month for five hours. That’s only 12 times per year! We provide the training for all of the positions and even provide dinner on the night that you serve! By creating a partnership, we are able to offer more services to our patients at lower to no costs. If your company or organization is interested in becoming a valued partner, please contact us today. Stay up-to-date on our current partners and check out our Partnership page. OBMCP receives ongoing funding from individuals, organizations, churches, businesses, as well as grants provided by private foundations. OBMCP continues to raise money for this vital service for our community and we need your help. Any amount you can give will make a difference.